A duck thought to be extinct for 15 years has been brought back from the brink and given a new home on a remote lake in Madagascar. 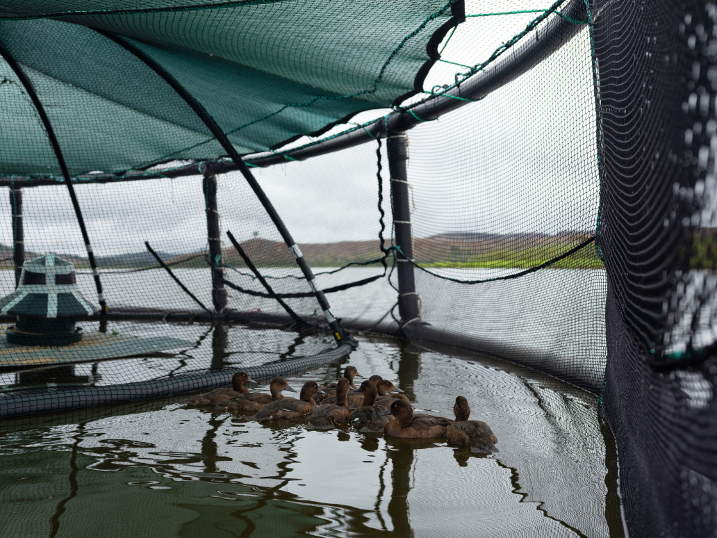 Some 21 Madagascar pochards spent a week in the safety of the world’s first floating aviaries on Lake Sofia in the north of the country. This pioneering approach is to allow the birds to become accustomed to their new surroundings, increasing the chances they will remain at the site after release – the state of wetlands in Madagascar is so poor that they will likely not survive if they leave the lake. The ducks were released from the aviaries in December and very quickly adapted to the lake, diving and flying, associating with other wild ducks, and returning to the safety of the floating aviaries to feed and roost. 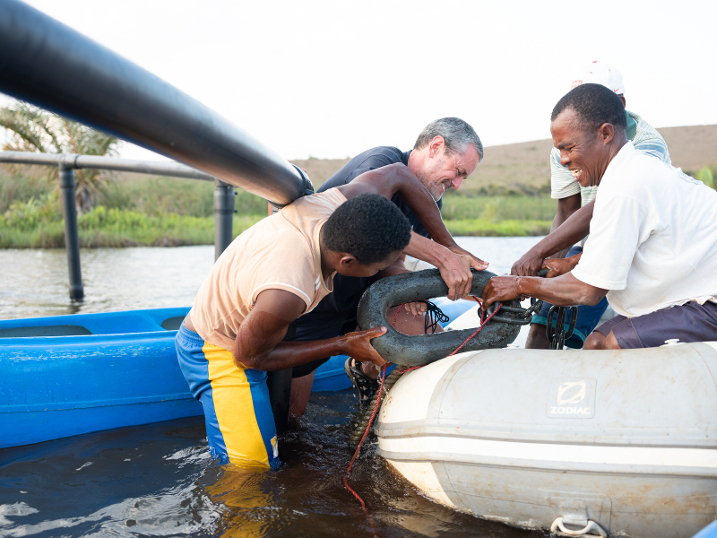 Experts from WWT, Durrell Wildlife Conservation Trust, The Peregrine Fund and the Government of Madagascar have spent years laying the foundations for the birds’ introduction, working closely with the local communities around Lake Sofia that rely on its water, fish and plants. It takes a village to raise a child, so the old African proverb goes, but in this case it has taken a village to raise a duck. We have been preparing for this moment for over a decade. The logistics of working in a remote part of Madagascar – where access to the lakes by vehicle is only possible for three months a year – have been an enormous challenge, requiring us to come up with novel approaches. Working with local communities to solve the issues which were driving this bird to extinction has been essential to giving the pochard a chance of survival. If we can make this work, it will provide a powerful example not just for of how save the planet’s most threatened species, but how communities can manage an ecosystem to benefit people and wildlife, especially in areas of significant poverty. Conservationists have been meticulously planning their release since the surprise discovery of a small group of pochards in 2006. Faced with an endless set of logistical hurdles, they have had to consistently think outside the box. Madagascar pochards spend almost all their time on water and, importantly, feed underwater. For this reason, a plan was conceived to convert Scottish salmon-farming cages into the world’s first floating aviaries. After successful trials in 2017, the aviaries were shipped from the UK to Madagascar and assembled on Lake Sofia this summer. 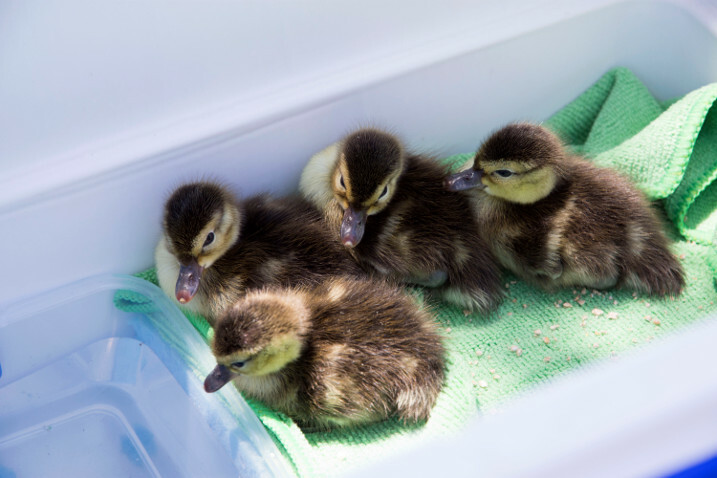 Ducklings hatched in October were transported 200 km to the lake along a dirt road and reared in lakeside aviaries, then in early December, just before they were able to fly, moved into the floating aviaries. Other floating equipment – feeding stations and loafing rafts – have also been specially designed and installed on the lake to give the birds the best possible chance of survival. 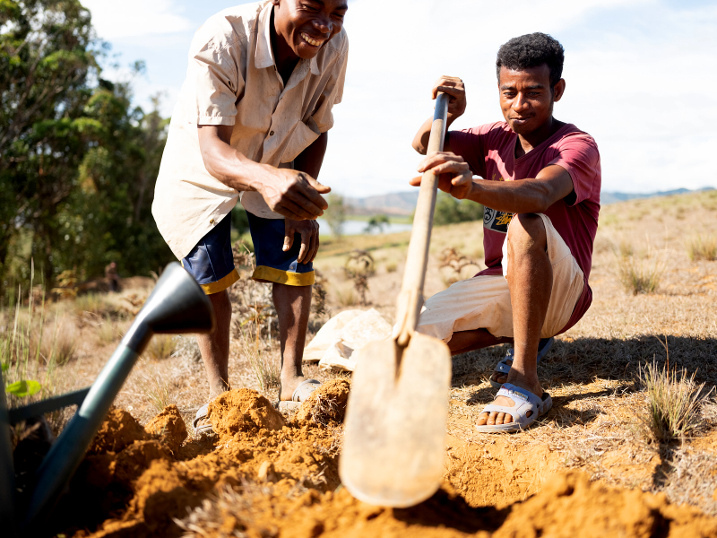 With much of the wetlands across northern Madagascar severely degraded due to human encroachment, conservationists have also been working to improve the condition of Lake Sofia so that it’s not just a suitable home for the ducks, but better serves the community and the other wildlife that depends on it. The idea that we could be releasing pochards into the wild only 12 years after rediscovery pays remarkable testament to the dreams and hard work of many people from Madagascar, Jersey and the UK, who have worked tirelessly to see this remarkable bird get a chance of survival in a changing world. The restoration programme at Lake Sofia will encourage others in Madagascar to no longer look at the Island’s wetlands as lost causes. They may once again be centres of biodiversity while continuing to support communities of people who also depend on them. The release is just one step in a long-term plan to restore Madagascar’s wetlands. WWT, Durrell and other partners have been working closely with communities around Lake Sofia for the last few years to improve farming and fishing so that they are more productive while having less impact on the natural environment. At the same time, guidance has been provided for government, authorities and conservation organisations to help them improve wetland conservation in the country. This work would not have been possible without the support of the HSBC Anniversary Fund, The Disney Conservation Fund, the National Geographic Society, The Darwin Initiative through UK Government funding, Fota Wildlife Park, USFWS and Mitsubishi, Mohamed bin Zayed Species Conservation Fund and Synchronicity Earth. 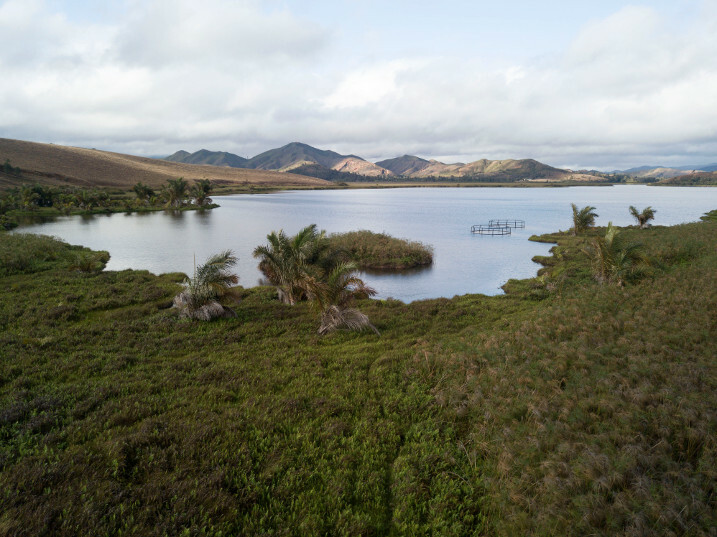 Saving the Madagascar pochard is a great example of how working to save a rare species can lead to the dramatic improvement of a whole habitat, and help the communities of Lake Sofia find sustainable solutions.